It showed up a few days later, and thinking it was going to be hard to swap out, it sat in the kitchen waiting until my brother came over the other day and was able to help me. Turns out changing it was actually easy. 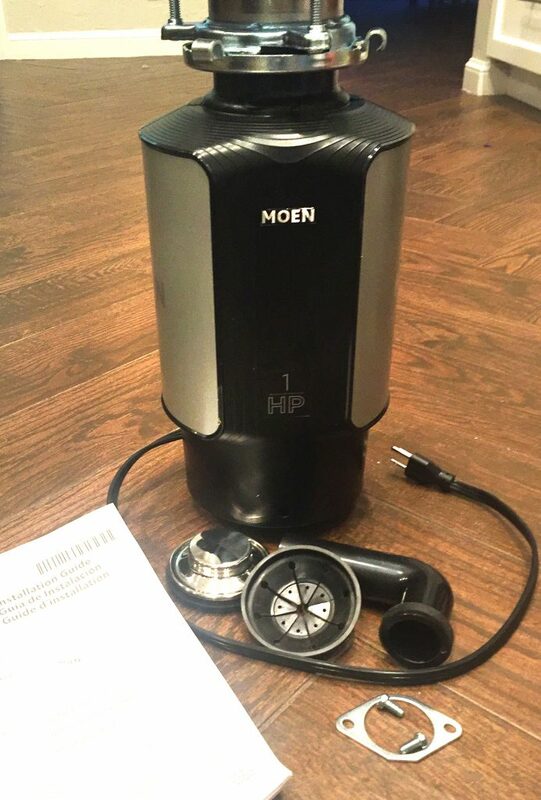 Since all Moen Garbage Disposals have a Universal Xpress Mount, we could have just swapped out the disposal itself, leaving the existing mount where it was. I wanted to swap out the sink flange (the ring visible around the top of the drain) and you can’t do that without removing the mount first. The original ring was installed crooked, one side being higher and to the right of center. It bugged me every time I was doing dishes. I swear I don’t have OCD, but I do tend to fixate on an off center/cockeyed drain ring. 😛 However, if you have a properly installed mount, you can literally just swap out the disposal itself, making this an extremely easy process. I won’t bore you with details about how to change a disposal, it’s all in the manual. Turns out, that even I could have done it solo. The only “hard” part was trying to hold up the new disposal to get the ring lined up to twist on. Now, that was a pain, and I was glad to have a second set of hands to help with that part. Make sure that if you have your dishwasher attached to your disposal, like I do, that you pop out the plastic stopper, or you’ll have quite the mess on your hands. Installed and ready to go, the disposal is pretty compact. What I think of our new disposal. It was crazy simple to install. In our last house, the garbage disposal didn’t come with a cord, it had to be bought seperately and installed. This one comes with a standard power cord attached – you just plug it in. And like I said earlier, it’s has a universal mount, so it’s easily interchangeable with other types of disposals, including Insinkerator (which is what we had). It’s Vortex motor is powerful enough to take care of an entire lemon rind in just a few seconds, without sounding like it’s going to die. We got the 1 horsepower model, and I can tell that that bump in power made a lot of difference – it made quick work of whatever we threw in there. And it’s high speed 2800 RPM VORTEX permanent magnet motor is designed to reduce jamming. 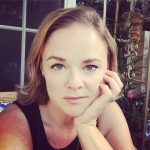 The splash guard – okay, let’s be honest, it’s not usually something I have ever paid attention to. However, the previous disposal had a splashguard that didn’t allow the sink to drain easily. It would back up and I’d have to stab the side of it down to allow the water to start draining out. It was the first one I’ve ever had that did that. On more than one occasion, I had to stick my hand into nasty, dirty water, with all kinds of food floating in it to “get it going” down the drain. Ewww. The splash guard included with this disposal does exactly what it’s supposed to – allows water to drain, while keeping large items out of the disposal area. We have a septic system here, and I’m always careful not to abuse the garbage disposal as a trash receptacle. 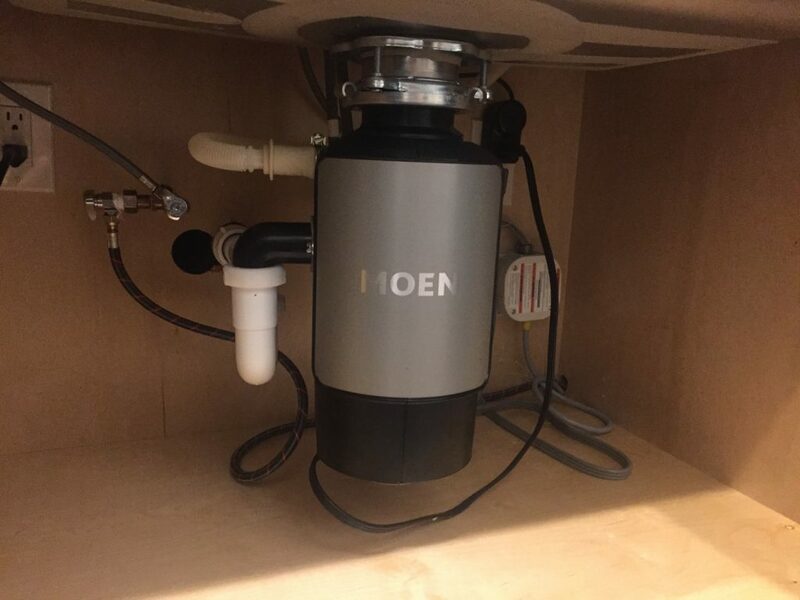 Our Moen garbage disposal is safe to use for septic tanks – if they are properly sized for your residence and maintained correctly. We are sure to scrape all food off our plates and into the trash before rinsing, and never pour oils and such down the drain. Whatever does make it into the disposal is ground up into tiny particles that should be easily broken down in our septic tank. I like that this one has a 7 year warranty. It is a limited warranty, but it covers in-home service if something goes wrong with the disposal due to defect in material or workmanship. Overall, I’m impressed by the power it has and that it was so easy to install – two of the most important things to consider when looking for a disposal, in my opinion. You can check out their full line of disposals here. They are available at the Home Depot. 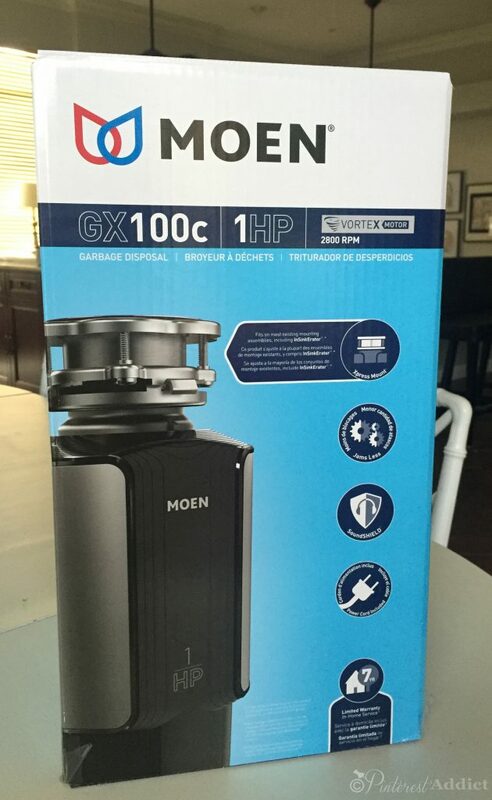 By the way, even though Moen sent me the disposal, all opinions above are mine.